Updated 6/20/2018 This rare tumbler, in light blue, is named for John and Lucile Britt. It was Glen Thistlewood's discovery of the tumbler and pitcher in a Karhula catalog that finally established positive attribution. 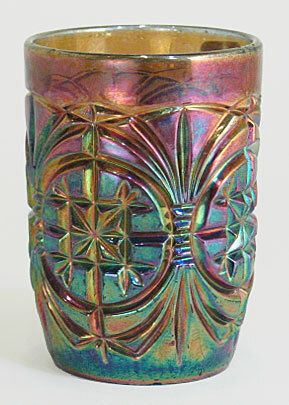 Quite rare, few tumblers sell at auction.